It’s difficult to separate my experience with Chrome OS from the machine it’s running on. Simply, the Cr-48 is a flawed piece of hardware. Yes, it was a free1 prototype, but that doesn’t mean I have to ignore its problems. Its unmarked plain matte black case is still a great minimalist design. Too bad the 3rd parties making Chromebooks for purchase would never sell one like this. I really like typing on the keyboard. It’s very Macbook-like, and feels great under my smallish hands. The trackpad is terrible. It has gotten better thanks to some software updates, but it’s still the worst one I’ve ever used and is enough for me to think twice about trying to do anything productive on the Cr-48. For daily use of Chrome OS, it’s like I said when I first wrote about it a couple of days after getting the hardware – if you’ve used Chrome, you’ve used Chrome OS. It’s great for normal web browsing. Bookmarks and extensions seamlessly sync between it and Chrome on your other computer(s) so you have the same setup wherever you’re working. The notable exception is syncing of open tabs2, which is rumored to be in the works. It’s the web, except when it isn’t. 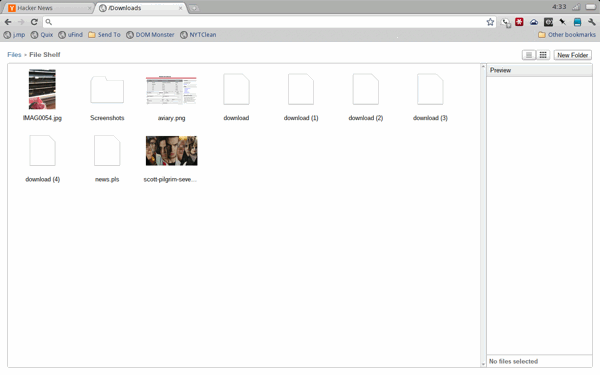 When using Chrome OS, you’ll eventually end up in a situation where you want to share a photo or video to the web. This will lead you to the very unweb-like file manager that was recently incorporated into the operating system. It’s there out of necessity (you have to get to your files somehow), but it looks like was inspired by a Linux file manager from the 1990’s that was tacked on without any thought. And, unless I’m missing something obvious, there doesn’t seem to be anyway to delete files from the File Shelf. Would I buy a Chromebook? No, not either of the two that will be available for purchase in June. $429 for WiFi-only or $499 for WiFi/3G is just too expensive when you can get a netbook running Windows 7 for a $300 or the 16 GB WiFi iPad for $499. Both give you the web and native apps for tasks that are still awkward in the browser. But, if manufacturers can get prices under $200 without making too many sacrifices, it will create a wide-open market for Chromebooks. They’d sell a ton of them. Excluding the price drop, I think there are a couple of scenarios where Chromebooks would be a good fit. 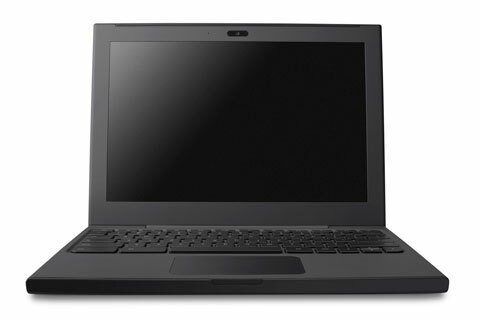 The first is for the person who wants a laptop for viewing websites without wanting to deal with all the overhead of managing a computer – especially keeping it up-to-date with security patches and anti-virus/spyware software. It’s not possible for a malicious website to do anything to Chrome OS, so the user is free to browse without worry. The second case where I can see Chrome OS devices succeeding is with large organizations and businesses who manage fleets of laptops and desktops. If the users’ tasks can be accomplished through web applications, moving them to a Chromebook or Chromebox would effectively remove the need for deployment and management. For example, if an employee loses a laptop, give him a new one out of the box and it will instantly be “his” after logging into his account3. The problem I see with Chrome OS is that consumers have moved beyond it and at the same time, businesses aren’t ready for it. For consumers, an iPad (or eventually an Android tablet) provides a great way to experience the web and play games, watch movies, compose music, and accomplish many other tasks. Their slight cost over a Chromebook is easily made up for by their versatility. For businesses, I think you’d have to search hard to find one that is using web apps for all their work[^work]. In fact the most likely ones to be doing this are small businesses who would also demand the adaptability of a Mac or Windows computer. Having the ability to stream Windows applications to Chrome OS will help any corporations who decide to switch, but I just don’t see the current cost savings as worth the tradeoffs. It’s too early to tell if Chrome OS will succeed or fail. I love the idea of it, but I know it’s not ready to meet my needs yet. But maybe, just maybe, this crazy little project from Google will leave the internet a better place by compelling everyone to adopt modern web standards and web app technology. That’s something I can easily get behind. It turns out deleting is “alt-backspace”. I just found that out myself. seems dumb. Written slowly on a CR-48. Ha. Thanks for the tip.